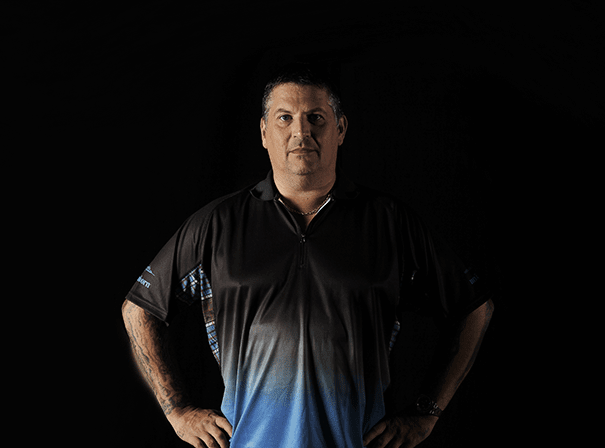 Essex born Kevin Painter is one of the best darts players of his generation. For any sporting event that requires a real darts pro and entertaining character to host, deliver after dinner speeches or play showcase games, Kevin is a perfect choice. He played in Professional Darts Corporation tour-naments from 1982 onwards and his nickname was The Artist. The right handed darts man was known for using I Predict A Riot by Kasier Chiefs as his walk on music and is ranked 25th in the world. Most known for being a runner up to Phil ‘The Power’ Taylor in the final of the 2004 PDC World Championship, that game is often referred to as one of the best matches to have ever been shown on TV in all of the game’s history. Painter played darts from the age of 17 and was first on TV playing the game in the 1994 BDO World Championship, which is now remembered as the first BDO World Championship series to occur after a group of 16 players broke off to form what they called the World Darts Council (and which was then later renamed Professional Darts Corporation) and their own world championship. Painter was a fine competitor who made it to the last four of many different tournaments and away from the professional playing game Painter coaches a young prodigy in the form of Matthew Ed-gar. He has also recored a charity single with Chas Hodges and has featured in numerous darts computer games. As such he is a fine ambassador for the sport and a great sports personality.